Today I published a new client feature on the marketplace called DMS Gutters. 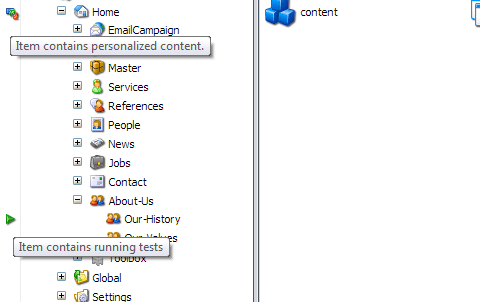 This will install two gutters within the Content Editor that shows which items have running tests and personalized components. It will help the business user identifying which items contains tests and personalisation. You can download the installation package via the Sitecore Marketplace.